This paper looks at the logical background to Ellis’s use of ‘rational’ and ‘rationality’, and why this use is so relevant to the importance of REBT. It explores two fundamental and apparently contrasting usages, referred to here as disciplinary and emancipatory rationality (discrat and emanrat), and their interplay in REBT. In 1958 Albert Ellis published a brief paper marking the beginning of cognitive therapies (Ellis, 1958). He called it ‘Rational Psychotherapy’, which has evolved into Rational Emotional Behavior Therapy (REBT). This paper looks at the logical background to Ellis’s use of ‘rational’ and ‘rationality’, and why this use is so relevant to the importance of REBT. It explores two fundamental and apparently contrasting usages, referred to here as disciplinary and emancipatory rationality (discrat and emanrat), and their interplay in REBT. In the disciplinary use of ‘Rationality’ it is the guide that enables cognitive agents to “adopt beliefs on the basis of appropriate reasons” (Brown, 1995, p.744), and to carry out actions based on these beliefs. If a zoologist has good scientific reason to believe that a species of toad, long thought extinct, exists and comes out to mate in a dangerous and inhospitable (to us) swamp when the moon is full, it would be rational to launch a field trip to investigate this. Whether or not the goal and the whole endeavour are rational will be a matter for debate within the discipline of zoology. It is up to the researcher to justify this crazy sounding project by appealing to other zoologists. If successful, the proposed actions and beliefs will be regarded as rational, because zoology is a science, and science is accepted throughout most of the world as epitomising a rational activity. The battleground for earning this desirable label is justification, or the giving of reasons, and traditional logic is the attempt to give this reasoning a formal basis. This is scientific rationality, a form of disciplinary rationality. It tells you how you must reason if you want to be a zoologist, and the coercive modal language of “shoulds” and “musts” ensures conformity to this requirement. The practice of medicine is generally of this form, with actions being justified by appealing to current good practice and to the body of knowledge that constitutes the science. The expert, the doctor, draws on her skills and knowledge in order to apply it to the patient. She has been initiated into the mysteries of this knowledge, and is thereby an expert in applying it to the case in hand. But there can be a tension between the physician as expert and the more general demand placed upon the physician as helper. In general practice she is still called upon as helper when scientific rationality fails, notably when the patient’s illness turns out to be incurable. When the patient is dying and beyond help, the physician may be at a loss (Still & Todd, 1998). Or she may pause and reflect, and perhaps resort to a different discipline, such as counselling or the new speciality of terminal care. This pause and reflection is the exercise of emancipatory rationality. With partial success, practitioners of psychotherapy often strive for scientific rationality. Justification in psychotherapy usually appeals to the model being used, rather than to a body of knowledge that all practitioners share as in medicine. Nevertheless, the logic of rationality is similar. Psychotherapeutic practice may be justified (rationally) by appeal to the principles of an established model, and even apparently irrational activities can be justified in this way. Someone who stands up and loudly announces each subway station as the train arrives, may well be thought irrational. But the behaviour is justified and therefore rational when explained as a shame-attacking exercise within REBT. Here, as for scientific rationality in general, the ascription of rationality follows successful justification. This depends on the capacity for reflective problem solving. It is the ability to stand back when habits and old rules fail to achieve the goal, and to look at the situation afresh. Consider a driver who has been tailed closely for some time by another car eager to pass; eventually the other driver overtakes perilously near a corner, and he or she is forced to brake, to allow this “idiot” in. The angry label “idiot” may prompt retaliation, to tail very closely, thinking, “He must not be allowed to drive like this”. Sometimes this happens, but fortunately more often the driver pauses, reflects, sees the dangerous impulse from a wider perspective, and keeps a safe distance. Disputing the irrational belief (the “must”) may take place as Ellis recommends, but it is not always necessary. Or consider the thinking that led to Einstein’s special theory of relativity (Wertheimer, 1961). Faced with the assumptions of 19th century physics, with its absolute framework of space and time, Einstein struggled for years with the anomalies that arose from this when he reflected on problems of measurement and simultaneity, and the failures to detect variations in the speed of light with the direction of the earth’s movement. He resolved these anomalies in a simple and elegant way, by giving up the absolute framework of space and time, and retaining the speed of light as an invariant, giving up therefore the central assumption of the old physics, and replacing it with a new one. Einstein’s “pause” was his refusal to be swept along by the apparent rationality of the absolutes he questioned, and this gave him time to work out a convincing alternative. The rationality in the examples above consisted in checking the immediate impulses (tailing the car in front, taking on board the assumptions of absolute space and time), pausing (for a fraction of a second, or several years in the case of Einstein), looking more closely at the situation, and replacing the initial impulse with a more considered (rational) choice. The exercise of this aspect of rationality is emancipatory, since it involves the capacity to step back and loosen the grip of earlier habits or beliefs. This does not entail that the earlier beliefs are irrational. They are in the driving example, though in such cases they are still part of a belief system and reasons are often forthcoming – most people would agree that they are not good reasons, which is why we see the actions as irrational. We thus have two aspects of “rationality”. Disciplinary rationality (discrat), where actions and beliefs are justified by appeal to the norms of the discipline. Discrat covers, not just tightly organised academic disciplines, but any belief systems, even irrational ones as in the driving example, which are used as a source of justification. And emancipatory rationality (emanrat), which is a process of reflective problem-solving, and serves to emancipate from the old beliefs and habits that are no longer satisfactory (Dryden & Still, 2006). Many forms of psychotherapy aim for emanrat, emancipating from the restrictive and sometimes unarticulated assumptions that have been acquired from parents, schools, peers, and the media, which are drummed in often in the name of reason. But Ellis went direct to the heart of the struggle between the old discrat and emanrat, to the ‘oughts’ and ‘shoulds’ whose coercive linguistic function is to maintain discrat, in all its manifestations, from road rage to the unquestioned assumptions of 19th century physics, and to counter the reflective consideration of alternatives. Underlying these words and thoughts are absolute demands, absolute in the sense that they are assumed without question. Questioning or attacking such demands is a key practice in emanrat, whether it is a driver who resists the temptation to tail the driver who has cut in, or Einstein subverting the traditional assumptions of absolute time and space. But emanrat is a logic of inquiry, and not just negative or critical. As Einstein recognised, it is not enough to undermine the old demands to produce change. It is also necessary to have an alternative theory in place to form the basis of a new discursive formation. Similarly Ellis found the need, in his therapeutic emanrat, to replace the irrational beliefs with rational beliefs, and to include the E of the ABCDE model (Activating event, Beliefs, Consequences, Disputing, Effective new strategies, Ellis, 1994). Thus, the successful exercise of emanrat paves the way to a new discrat, and REBT is potentially discrat in several senses	. A general sense in which REBT is rational (discrat) is in the use of outcome studies, and the explicit allegiance to a scientific outlook. The usual claim to scientific rationality amongst psychotherapies is participation in the practices of experimental design and statistical testing, shared by a number of social, medical and biological sciences. Ellis has always recommended this as necessary for a REBT. A more distinctive way in which REBT is discrat is in the doctrine of ‘shoulds’ and in teaching rationality to clients through the ABCDE model, including the difference between two kinds of emotion and the rules for of disputing irrational beliefs. Ellis’s emanrat, the rational process of stepping back, reflecting and challenging the client’s irrational discrat that remains coercive, and finding an alternative, itself became formulated as part of the discrat of REBT. It has its own disciplinary practices and training, though the use of the traditional coercive language of “should” and “must” is understandably avoided by Ellis. The ABCDE model has been at the centre of this discrat, especially in the training of therapists, and the socialisation of clients. The scientific rationality (discrat) of therapy demands first the emanrat of stepping back and articulating the perceptions (A), and the beliefs (B), and emotions or behaviour (C) of the discursive system to be replaced. The goal is to change the unhealthy emotion into its healthy equivalent, anger into annoyance, anxiety into concern, etc., and develop alternative behaviour. This is usually done by disputing (D) the irrational beliefs (iB), and replacing them with rational beliefs (rB), and by using effective new strategies (E). The disputation makes some logical and philosophical assumptions in demonstrating the clients irrationalities. The client is assumed to make: (a) The logical mistake of deriving a modal statement from an empirical statement (Does “I must have this” follow logically from “I want this”? ); (b) The empirical or scientific mistake of assuming a covering law that will enable this derivation (“What law of the universe states that I must have this because I want it?”); (c) The pragmatic mistake of assuming that the irrational belief (“I must have this”) will help the client achieve his or her goals. There are some anomalies in the ABCDE model from the point of view of Ellis’ claims to rationality. First it seems inconsistent with another claim made by Ellis. The ABCDE model appears to separate perception, cognition, emotion into logically distinct categories, but Ellis has always insisted that these are inseparable. A defense could be that separation is necessary for training and therapeutic purpose, though at a deeper level there is interdependence. Such compromise might weaken the claim to rationality, like a politician who claims to be morally upright, but is obliged on pragmatic grounds to indulge in practices that are morally questionable. Both politician and psychotherapist have to compromise their moral or theoretical purity in order to be effective. Second, although in this paper I have given weight to Ellis’ bold and explicit use of emanrat as justifying the “rationality” of REBT, it is not clear that this is how Ellis himself has seen it. In REBT much is made of details of the rational disputing itself as though this was rational in some absolute sense. But the first two (a and b above) are questionable, or at best a matter of debate in modern philosophy and philosophy of science. Again their continued use can be justified (pragmatically) on the grounds that they work, so are rational in terms of REBT discrat. 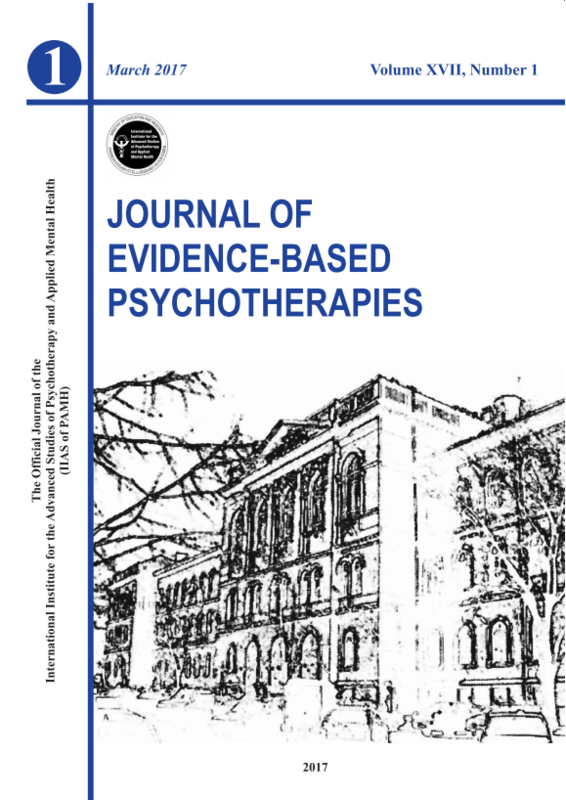 This paper has attempted to bring out in what respects REBT is truly a “rational psychotherapy”. Ellis’s main contribution is, it is argued, the successful insistence that many psychological difficulties can be treated rationally like any other problems or obstacles in living, rather than as medical, moral or personality issues. This involves setting up a dialogue in which client and therapist cooperate in reflecting on the problem and its possible solutions. To clarify this and the magnitude of Ellis’s achievement, it was necessary to separate two aspects of rationality. First, disciplinary rationality (discrat) which is prominent in disciplines where knowledge is paramount as the source of justification of beliefs and practices. It is also important in everyday life in following rules and routines which are justified in relation to a belief system, whether or not the belief system would be regarded as rational by another person or another culture. Second, emancipatory rationality (emanrat), which is a process of pausing and reflecting on the problem faced, sometimes due to a failure of discrat, and aiming towards a workable solution through intelligent trial and error. This is also important in science, when discrat is not working or inapplicable. When emanrat takes over from discrat, the coercive “shoulds” and “musts” (“you should do this”, “you must do it that way”) are suspended while the problem solver searches for an alternative strategy. Thus Ellis and his clients applied emanrat directly to psychological difficulties, targeting the coercive language of discrat (“shoulds” and “musts”) which holds the old belief system together, and is therefore the trigger point for change. In addition he described an REBT discrat to articulate the client’s problem. This is the ABCDE model, including the principles of disputing and the parallel process theory of emotions. For many commentators, this model seems to be what makes REBT rational, discrat rather than emanrat. To some extent this is understandable, since Ellis draws on the rhetoric of discrat in his ABCDE model, but in many respects REBT leans towards emanrat; and the direct application of this to psychological problems, by treating them for the first time as problems that can be solved rationally, may be Ellis’ greatest achievement. Brown, H.I. (1995). Rationality. In T.Honderich (ed.) The Oxford Companion to Philosophy. Oxford: Oxford University Press. Burke, T. (1994). Dewey’s New Logic: a reply to Russell. Chicago and London: University of Chicago Press. Dryden, W. & Still, A.W. (2006). Aspects of rationality. In preparation. Ellis, A. (1994). Reason and Emotion in Psychotherapy. (2nd ed.). New York: Carol Publishing. Still, A.W. & Dryden, W. (1998). The intellectual origins of rational psychotherapy. History of the Human Sciences, 11, 63-86. Still, A.W. & Todd, C.J. (1998). When technical rationality fails: thinking about terminally ill patients. Journal of Health Psychology, 3, 137-148. Wertheimer, M. (1961). Productive Thinking. London: Tavistock Publications.